Manufactured in the ombre'd coloration that the Beacon company invented. 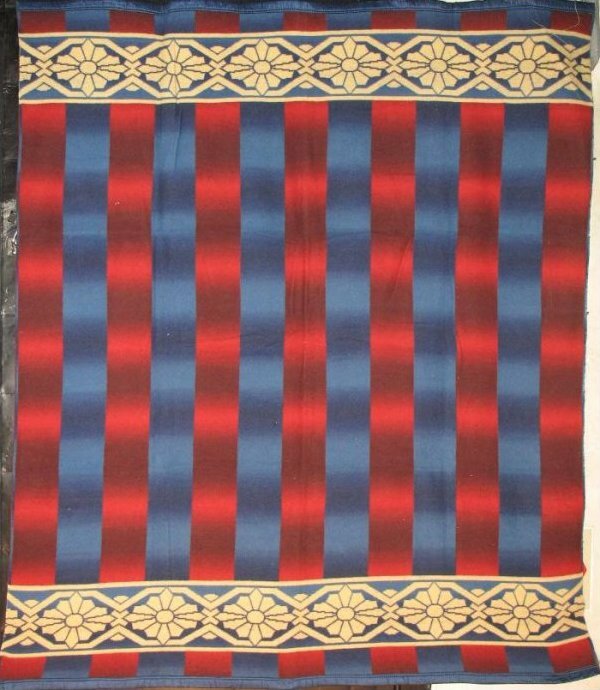 Bold plaid in red and blue reverses the coloration on the other side. Exciting and tricky graphic of a stripe-y plaid. Characteristic border panels at each end have curvalinear tile medallion design. In untouched as new condition, 'wool nap cotton' still lofty and yummy to caress.